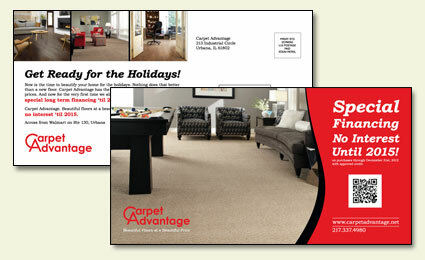 Project Description: Direct mail 12×6 postcard with a circulation of roughly 10,000. The idea for this project was to be an attention grabbing piece that was still elegant. Using bold colors and contemporary photography Six Demon was able to achieve the design goals for the cover of the post card. The bright red color pop immediately grabs the eye and directs it to the main message of the card before moving off to the visual imagery on the left. On the postage side of the card, the information is presented in a clean fashion and uses visual cues to direct the readers eye from top to bottom without being distracted by the required postage section of the card. This is the second piece Six Demon Studio has done for the client and we’re extremely pleased with how this piece works & looks.